It is with pride that we dedicate this page to our veterans that have served this country. May their service to our country always be honored. 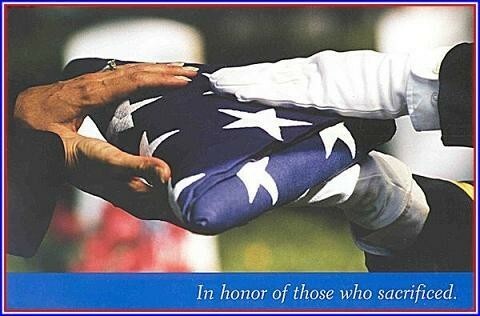 As you picnic, camp, fish, or nap on this holiday weekend, please pause for a moment of silence at 3:00pm EDT to remember Timpson's and our nations's brave young men and women who have died in defense of our American freedom. Those liberties have not come without immense cost. It does no good to dream of what might have been accomplished had they lived--all that lost talent and treasure. Yes, each of them was a son, daughter, mother, father, brother, sister, uncle, aunt, friend, or lover. We miss them dearly. And, will never forget their laughter, tears and friendship. US Army Ranger 1988-1996-Gulf War Vet. KIA in Australia as plane was taking off runway. 2nd. Lt Army Air Corp. If you know the branch of military a person served that is listed below, please email and let us know or if you know of anyone else at THS that served in the mililtary that is not listed let us know. I fight for who can't. I fight for the oppressed and down trodden. Then I have no regrets for I serve to protect the innocent. For evil and danger know no boundaries. For it was my Honor to fight for you. For now,,I stand with God. 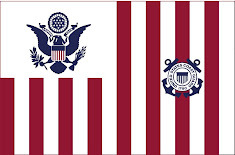 the Armed Forces, Law Enforcement, Firefighters, EMS, and Coast Guard. 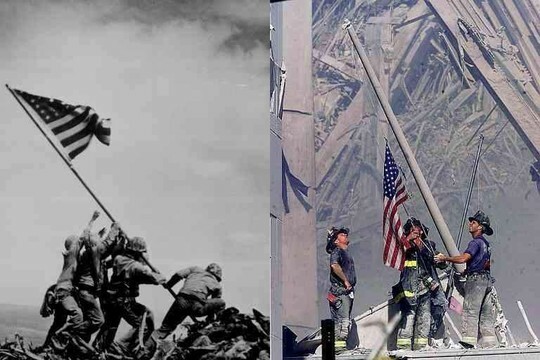 Two iconic photographs taken decades apart, yet so hauntingly similar.